It’s that time of year again and it seems to come round even quicker with each passing year. Soon you’ll be scrambling to book your entertainment for a corporate, commercial or a private party. 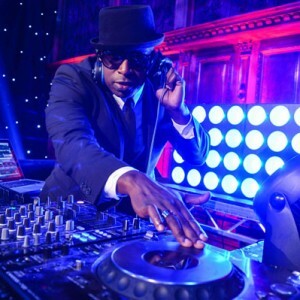 No matter what type of Christmas party your are planning or organising, you need great Christmas entertainment ideas to make it go with a bang – You need London’s leading entertainment suppliers – Accelerate Productions. This is the time to be enjoying yourself, not spending hours searching for right types of Christmas entertainment ideas for your party; that is our job. Here are the top traditional Christmas entertainment ideas to think about when planning or organising your party/event. We all know what it is like to walk into a party and feel slightly awkward. The best way to break the ice at any party or event is to have roaming entertainment. It helps to have a talking point and encourages people get comfortable instantly at a party. Hosts & hostesses are a great way to welcome your guests to the event. 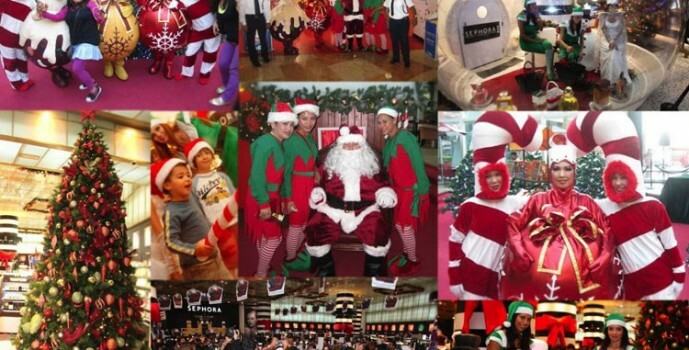 Performers such as stilt walkers, human statues & shot hosts will help enhance the Christmas atmosphere. No Christmas celebration would be complete without music; it’s the soul of the party. To make it a Merry Christmas and to keep the goodwill flowing, book a DJ or live band to get everyone dancing the night away. This is probably one of the most obvious but overlooked Christemas entertainment ideas. There are many options when choosing what type of musical act would be suitable. Remember to consider the age ranges of your guests and ensure that the music will satisfy everyone. This is absolutely the best time of the year to eat and drink as much as you want! Get into the Christmas spirit by theming food and drinks with Christmas canapes, cocktails & festive desserts. 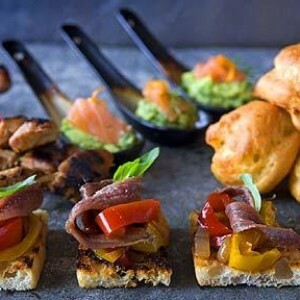 Get in touch with one of the finest caterers who will be able to help you. The most obvious Christmas entertainment ideas include Santa Claus. No Christmas would be complete without Santa Claus himself. 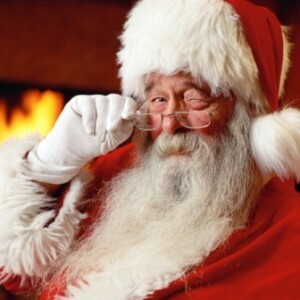 Hire Santa Claus for shopping centres, corporate or commercial parties or why not even book a “DJ” Father Christmas. Kids absolutely love him and he goes down well at office parties just as well. You could even hire his helping elves. Great for any party or event.